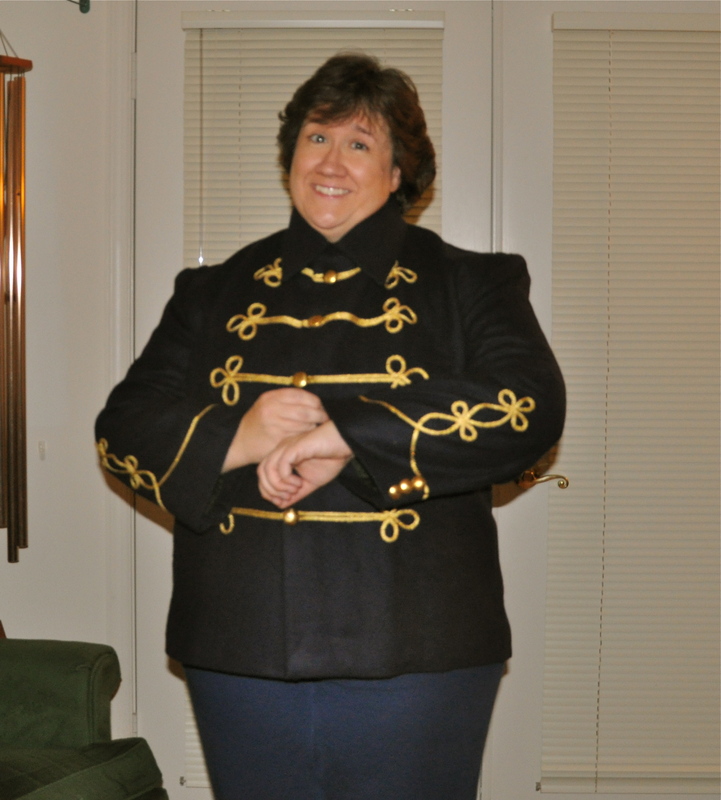 My new band coat arrived today ... three weeks too late. Although the Vintage Band Festival ended just over a week ago, I was happy to receive my new band coat when it finally arrived today (via FedEx). There was a misunderstanding with the tailor that caused the delay, apparently. It’s a shame, but at least I’ll look good for the next Newberry Band tour. While I’m at it, I wanted to post a better video of my cornet solo, Fantasia on “Safe in the Arms of Jesus” by F. J. Keller. The original video I posted came from an outdoor concert (on Bridge Square) where the camcorder was so far away from the band that you could hear the cicadas better than your weary scribe. So the videos below are from one of the band’s indoor concerts at the Vintage Band Festival. The sound quality and balance are much better and, although it was the third performance of the day, it was the best because I did not have to worry about my music blowing off the stand – ! The second video is my short spoken introduction to the solo where I explain how a cornet differs from a trumpet, in case you’re curious about that. Finally, because I’m posting a video of the solo here, I wanted to put in another plug for my arrangement of the piece for cornet and piano which is available as a free download from the International Trumpet Guild Journal website, so that it would be easy to find here (one stop shopping; video and sheet music, too). It was published as the ITGJ music supplement in June 2009. Enjoy!